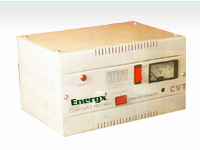 A ENERGX CVT, the AC mains powers the input which is widely separated physically from the solated output winding. The input winding normally runs at very moderate Flux linkage levels. 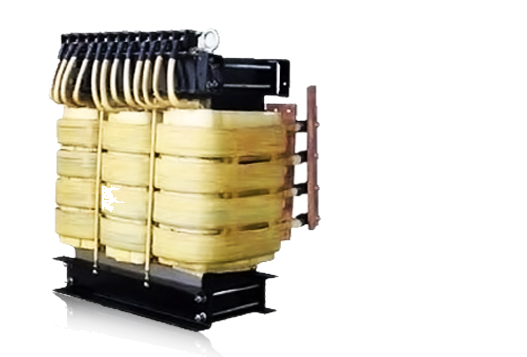 The output winding exhibits energy characteristic and this energy storage operates in conjunction with mains capacitor to produce self generated AC flux field which is indirectly excited from the winding. 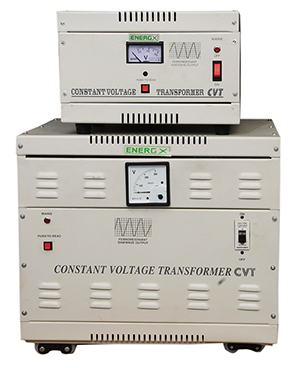 The result is instantaneous voltage regulation and spikes. Sine wave output. A perfect answer for every electronic equipment. No semiconductors or moving parts used, so high reliability. 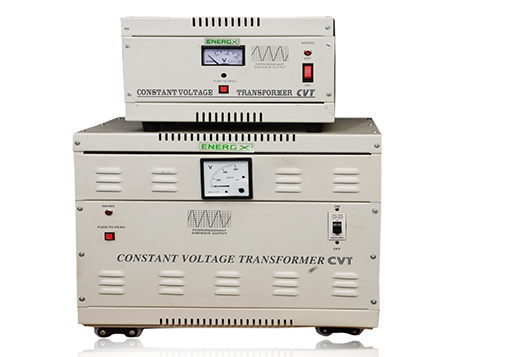 Output voltage correction within 1/2 Cycle 10 ms from no load to full load for specified load and line variation. Short term over load capability. 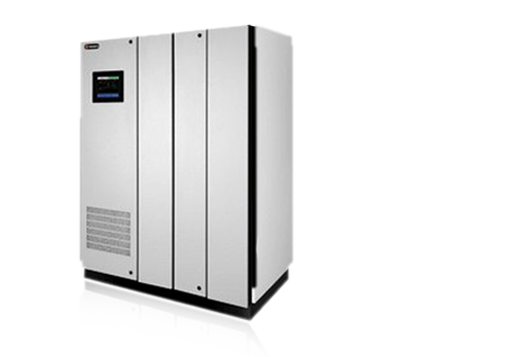 Energy storage for line less up to 3 ms at typical loads. 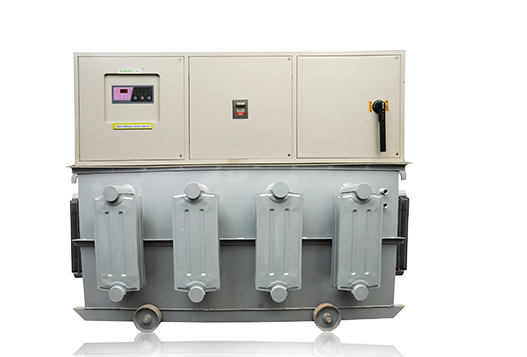 Higher input voltage control range, for load less than rated load. Very high line transient/spike rejection capability excellent input to output isolation characteristics.